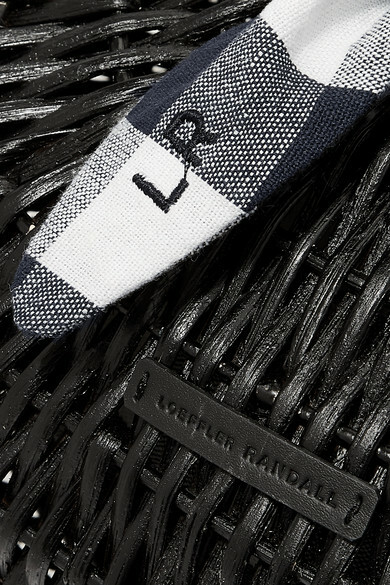 Loeffler Randall's collections are produced in small batches using natural materials and time-honored techniques, so each piece can be worn and treasured for years to come. 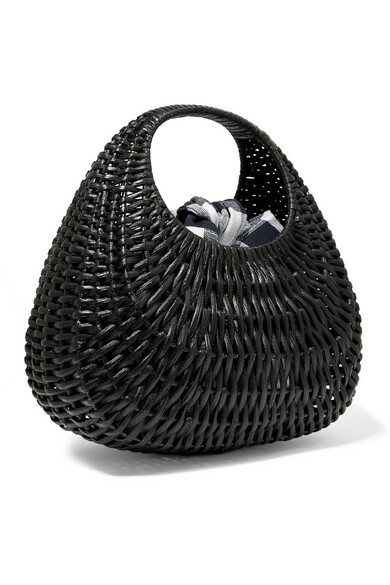 Woven from hardy wicker, this 'Lorna' tote recalls elegant vintage baskets. 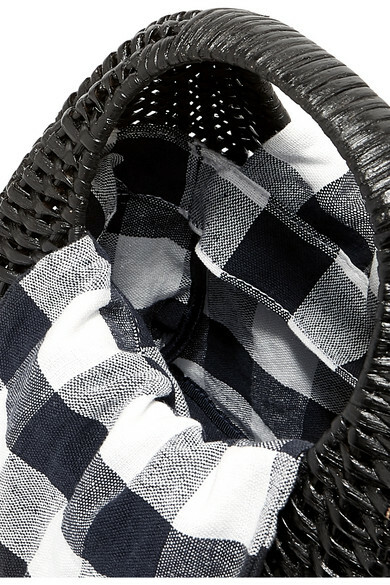 Stow your essentials in the gingham canvas pouch that ties at the top. 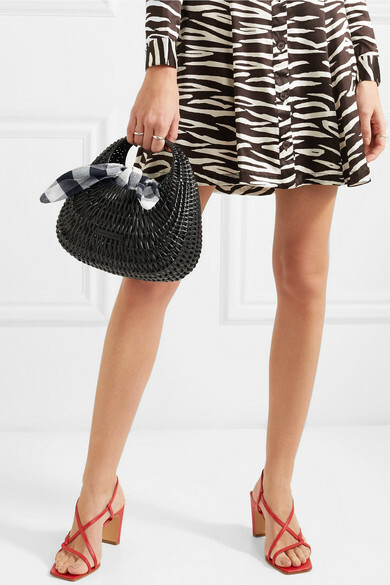 Shown here with: GANNI Dress, BY FAR Sandals, Sophie Buhai Rings.